Another sponsorship deal for Philadelphia Union, with Coca-Cola and Dasani set to be the soft drink and bottled water sold at games. Meanwhile, you can see more photos of the Union’s stadium here. U.S. international Stuart Bolden will get a contract extension at Bolton despite breaking his leg in Wednesday’s international friendly vs. the Netherlands. The Seattle Sounders have signed Swiss international Blaise Nkufo, who has scored 111 goals in 213 games for Dutch club FC Twente. Big signing for the Sounders, otherwise known as the new favorite to win the 2010 MLS Cup. Landon Donovan and Jozy Altidore will share the same field Sunday for the first time since Altidore left MLS as Everton and Hull City face off. Here’s the weekend TV rundown. Manchester United’s Michael Owen is out for the season after leaving Sunday’s League Cup final with a hamstring problem. When you’re Michael Owen. , hamstring injuries require operations. Hull City’s move for Egyptian striker, Amr Zaki, does not seem to have put Jozy Altidore in danger of losing significant minutes. Although Zaki has prior Premier League experience and is considered to be a quality striker, Altidore is playing well enough to keep Zaki from taking his place. 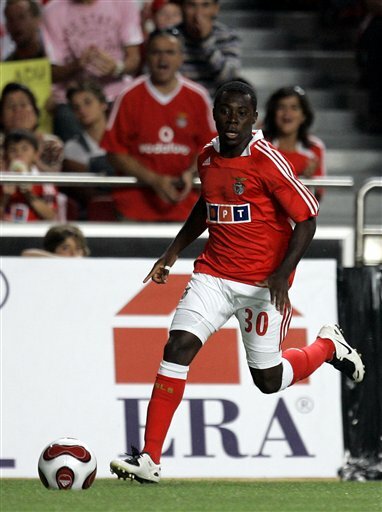 Freddy Adu says he could move to Aris Thessalonica in Greece or Hull City in England. Aris is the club that acquired Fulham’s Eddie Johnson from last week via loan. Hull is the club that rarely wins in the EPL. U.S. international Stuart Holden is going on trial at Burnley in the English Premier League. Holden is available on a free transfer and holds a British passport, which means that, if signed, he would not need a work permit. MLS is pushing hard for the Houston Dynamo to resign him and has offered an annual salary of at least $350,000. A complicating factor could be Burnley manager Owen Coyle’s potential move to Bolton. Former Chivas Guadalajara captain Ramon Morales could move from the team to MLS’s Chivas USA, according to Goal.com. No truth to the rumor that the MLS squad will change the team’s name to Chivas Los Angeles to tell people where the team actually plays. Quality service lacking at Hull. Having the day off yesterday, I was excited at the prospect of some afternoon football to keep me glued to the sofa. Sadly, instead of the massively important Liverpool v. Villa match, FSC (and thus, myself) got stuck with the relegation six-pointer between Hull and Bolton. At the very least it was an opportunity to watch Jozy Altidore play and hear Gary Megson be tunefully told he’s getting sacked in morning. Like any sane person, I’d chalked this up to nil-nil, or Hull losing on an own-goal. As it turns out, Hull fought back to win a point in spite of themselves, with the tireless Stephen Hunt single-handedly dragging them out to the tune of 2-2. Our man Jozy Altidore however was, perhaps significantly, no longer on the pitch for either goal. Make no mistake, this was a really tough game to watch. Referee Phil Dowd, seemingly never far away from controversy, had an easy one — due in part to the fact that a clear foul was committed about every 30 seconds, allowing his rotund figure many a rest. In what was a turgid first half, the only moment of actual quality was Ivan Klasnic’s strike, giving Bolton a lead they just about deserved. Hull produced next to nothing. Their only real highlight was Altidore’s weighted pass to Craig Fagan, who proceeded to dribble it right into Jussi Jaaskelainen. Apart from that, Hull were a shambles. Kamil Zayatte in particular had a very poor game and his insecurity clearly spread throughout the back line. Against better opposition, Hull could have been down 6-0 at the break with how they were defending. But what of the young Mr. Altidore? Bolton Wanderers sacked manager Gary Megson this morning with his side languishing one spot from bottom in the Premier League. 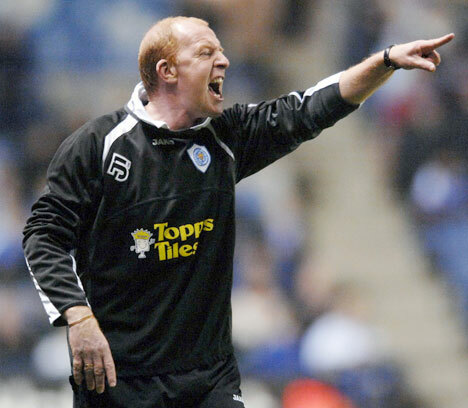 The club’s website claimed “Gary Megson has been relieved of his duties as first team manager of Bolton Wanderers with immediate effect. The decision has been taken in the light of the position the club finds itself in the Premier League at the halfway point of the season.” Bolton drew 2-2 with struggling Hull yesterday, after leading 2-0 at the hour mark. Megson has been unpopular at the Reebok since being hired last season with the Bolton fans never taking to the manager, even after he guided them away from relegation and up to 13th. Assistant managers Chris Evans and Steve Wigley will take over in the interim, with every available coach in England being linked to the job by bookmakers this morning. Oh my God, there's a sniper in the stands! This weekend’s Manchester United v Aston Villa Match was notable for several reasons. Aside from being an absolute cracker of a match it was Aston Villa’s first victory at Old Trafford since 1983. To give you an idea of how long ago that was, the top four teams in English football in 1983 were Liverpool, Southampton (relegated from the Championship last season and currently 14th in League One), Nottingham Forrest (currently fourth in the Championship) and Manchester United. Arsenal finished sixth that year and Chelsea were champions of what was then League Two. 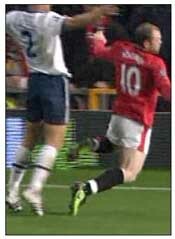 Hell, the back pass to the keeper was still legal then.